There are both a green form and a blue form of the Bismarkia. The Green form is very tender and will only grow outdoors in coastal Southern California. However, the Blue form which starts out a brilliant Purple is hardy to the low 20s in low humidity. 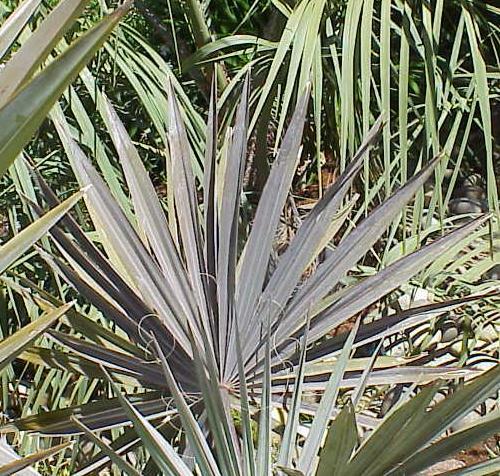 Bismarck Palms may be planted in either sunny or partially shady conditions. 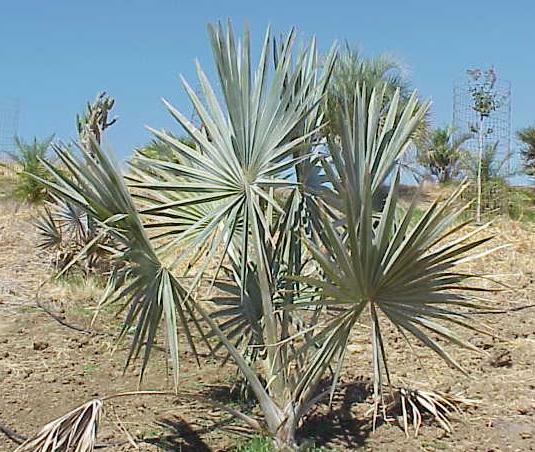 However, while this is not a fast growing palm, it grows fastest and have the brightest leaf color in full sun. Tolerate a variety of soil types provided that the soil is well-drained. 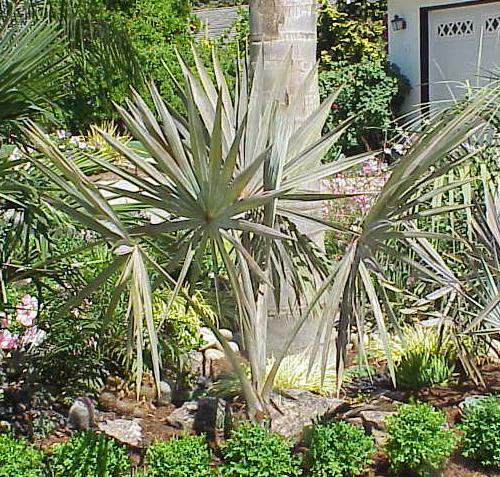 Regular watering will result in a finely cultivated specimen, but this palm will also tolerate some drought and salt. Prune sparingly. Avoid damaging lower trunk and roots. Transplanting established specimens is not recommended for this tree.